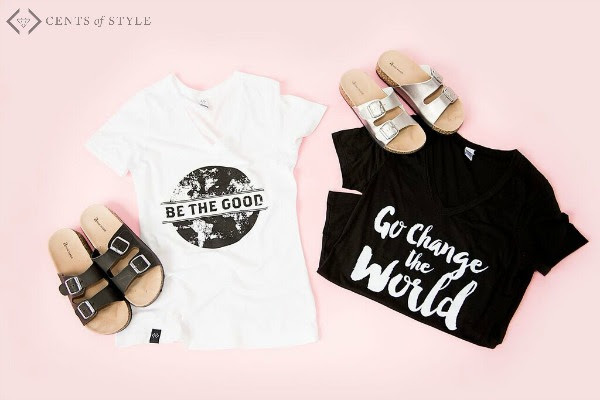 The double strap cork sole sandals are the perfect Spring & Summer footwear, and the Go Change The World & Be The Good tees are some of their most popular! 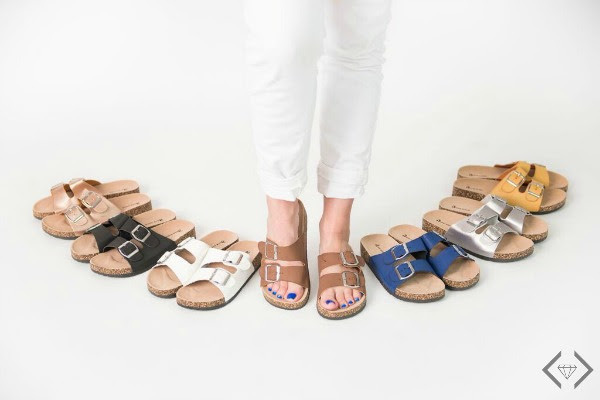 Fashion Friday - 3/18/16 - Sandals & Inspirational Tee Combo - $29.99 & FREE SHIPPING w/code GOODSHOES. 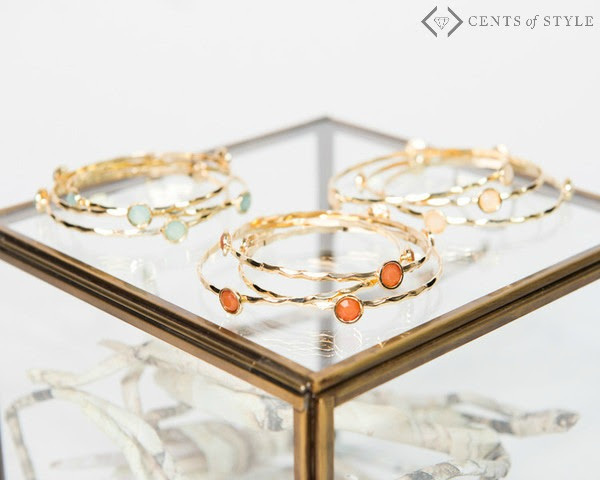 Additionally, at checkout they will be offering 3 Bangle Sets with jewel details for $1.99.